Much of our pasture land is in a flood plain, or as we refer to it the bottoms. Down along the sloughs, bayous, and rivers the land flattens out and whenever we get successive heavy rains, the bottoms flood out. This is where I find mosquitoes as big as horse flies, huge snakes that I swear could eat me alive, and wiped out fences. When the rising water rushes through the bottoms, it carries along logs, sand and dirt, and sometimes even whole trees. This debris will collect on fence rows and make an almost solid wall. 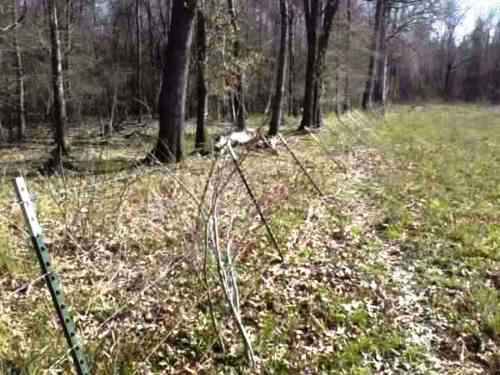 Then the force of the water will lay over the fence, sometimes flat on the ground. Then I am left to pick up the pieces. I really have not figured out a good way to avoid our fences lines from collecting debris in a flood and laying over. Other than trying to keep the pastures clean of excessive dead grass, large limbs, and dead trees, I am kinda at a loss. In a few cases I have tried removing the bottom strand of wire and it seems to help debris flow through better until water gets higher. The heavy Spring rains are not to far away (knock on wood) and we may see a few floods in the bottoms. I will just hope the fences stay upright and I can get the cattle to higher ground before that happens. Have any suggestions for keeping my fence upright? I’ve been told water crossings are only temporary. Maybe I just need to think of all these fences as “temporary”. 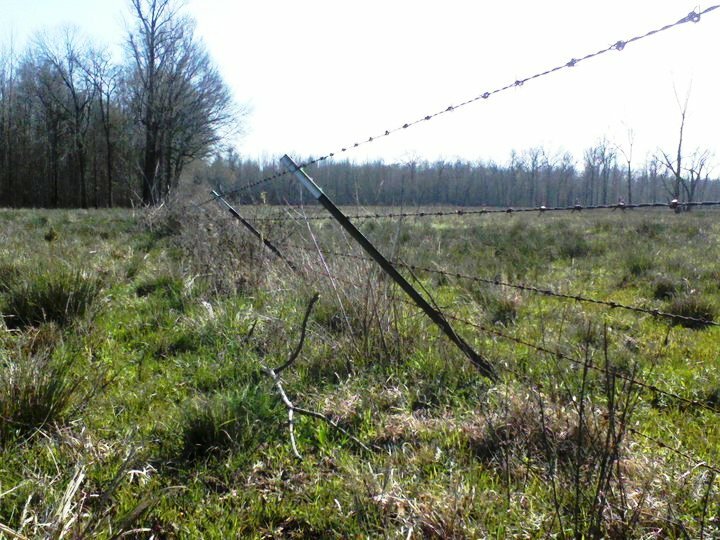 Have any similar stories to share about fence lines surviving the flood? I would love to hear ’em! I hadn’t thought of flooding in the bottoms being so hard on fences – good post. Flooding isn’t really an issue here in terms of our fences, but if it’s a snowy winter, that drags the fences down. And the elk tend to walk right through them instead of stepping over them.